What use is the census data? Now I know that you can use the census data to confirm when and where families were at those particular times and they can give a geographic tour in conjunction with a timeline especially if the family was moving around. But what if that data could help you find a ‘Lost Cousin’ – to quote from the Lost Cousins website – “LostCousins identifies members who share the same ancestors by comparing the information each member has entered on their My Ancestors page. After all, if you and another member have both entered the same relative, the two of you must also be related to each other!”. Contact is only made via the site and other than the match no details are exchanged until both persons are happy to do so. I have made contact with a descendant of my 2x g grandfather on my maternal side. Visit Lost Cousins and see who you can find. Tris thanks for website. I suggest adding link and description of FB group for discussions. Don. I will be but starting to get ready for Toronto. I have just joined the group while at the 2018 Convention in Toronto. What a great time we had there! 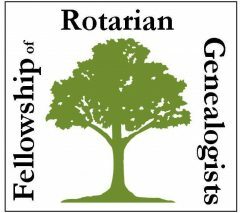 I am a genealogist doing research in Georgia, USA, and would be happy to do some local research for members of the fellowship. Some census information is more useful than others. For example, some of the US censuses include all kinds of useful information, such as education level, naturalization information, income, profession, etc., as well as the usual name, age, place of birth, etc. In the UK the town and sometimes the parish of birth is given, making it easier to trace people on the move. Some European countries had no specific censuses but had other methods of tracking residents, such as the volkstelling in The Netherlands. All in all, I think the the census information from as early as the late 1700’s gives a great head start to tracing families, whether they were “migrators” or relatively stable. I suggest taking some time to study the census thoroughly. They can provide gems of information not available in other places. A few words of caution. Not all of the information is correct. Census takers tended to write names as they sounded and their handwriting was not always perfect. People sometimes didn’t tell the truth about age, marital status, or other important details. Make sure that the information that you obtain from the census pages is verified in other places or you might be chasing a false lead. Is there a way to start a new topic? For example, I would like to introduce myself to the group. That really doesn’t have all that much to do with census data. That’s a good point, Ronald, and thanks for making it!! My understanding is that FORG is using a Facebook page for more direct exchange, but I (for one) refuse to use FB. But in our case it might be possible for us to meet at District Assembly, if you go to the D5280 gathering in Carson. I’m Secretary for the Downtown Los Angeles Rotary Club (not “the 5” but the small club meeting at the L.A. Athletic Club), and while I don’t attend a lot of District events (as I actually live in Altadena) I do make it a point to attend the annual Assembly.